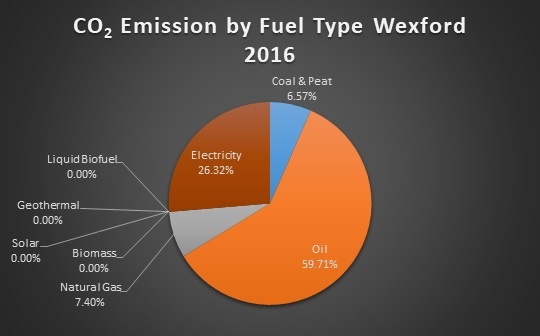 Projected and Actual Carbon Dioxide Emissions 2006 to 2016 for the county of Wexford in ktonnes. 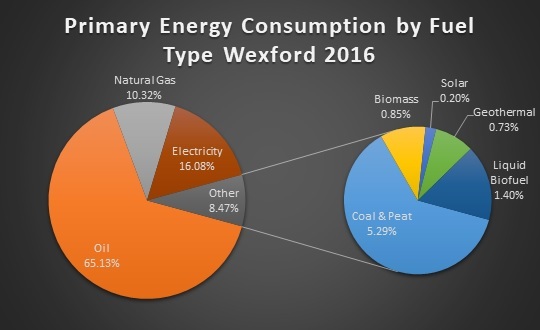 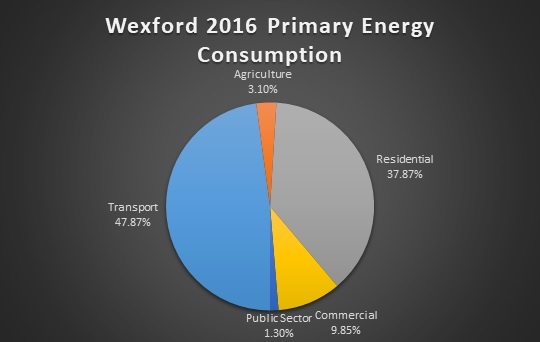 The County of Wexford consumed 3,092 GWh of primary energy in 2016. 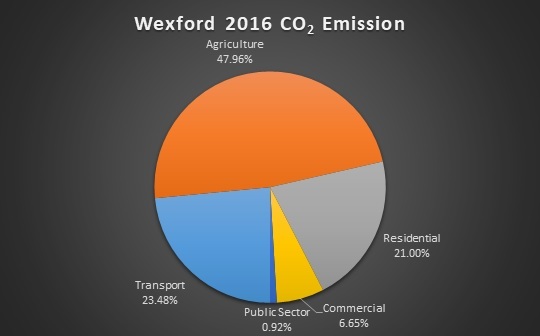 The County emitted 1,595 ktonnes of Carbon Dioxide (CO2) in 2016.